One of our favorite promotions is back. 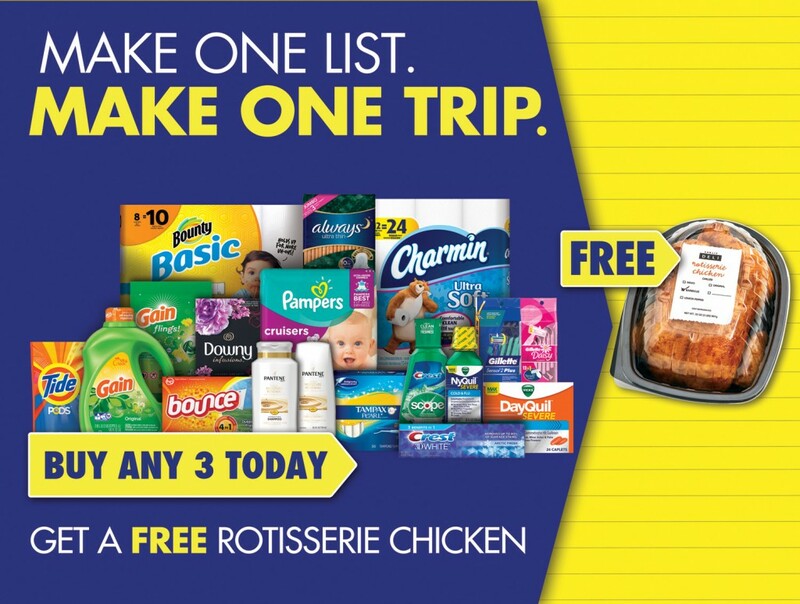 When you buy three participating P&G products, you’ll get a FREE rotisserie chicken. This time of year is beyond busy. We’re double (or triple) booking all of our evenings and the last thing we want to do is travel around town to all of the different stores checking off everything on our shopping list. 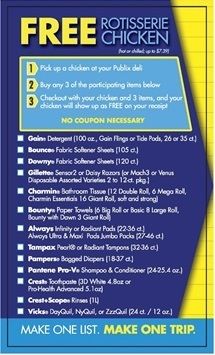 With Publix and P&G, you don’t have to. Participating items are things that are probably already on your list to buy. Choose any of the three items above to get your free rotisserie chicken. When you get the chicken, turn it into a quick and easy dinner for the whole family! One Southern Savers reader will win a $100 Publix Gift Card. Leave a comment in the widget below telling me which three items you’re going to buy to get the deal.